Soe Jensen was in the role since the formation of GE Renewable Energy in November 2015, after the US conglomerate acquired Alstom's power and grid business. 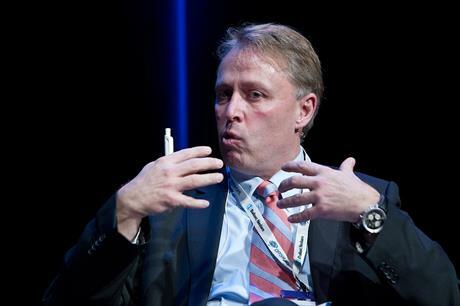 He had also been vice-president of offshore wind at Alstom, prior to the GE takeover. Jensen will remain as GE's offshore wind commercial and business development leader. GE Renewable Energy CEO Jerome Pecresse thanked Soe Jensen for leading the offshore business. "Anders has been a leader in the offshore segment for a long time. He has done a great job by bringing the business to this point and he is the right leader to drive the critical relationships within the offshore ecosystem that will enable us to succeed in this segment," Pecresse said. Lavelle has been with GE for 33 years, leading several departments including Digital Energy and Gasification. His experience in global markets will be a benefit as GE looks to diversify its global footprint. "[Lavelle's] global experience and deep knowledge of the company will help our offshore business benefit from entire GE store, while also instilling new digital capabilities into the growing offshore segment." It is the second offshore CEO of a major OEM to be changed this week. On Thursday (3 November), rival MHI Vestas announced its co-CEO Jin Kato has been replaced by Tetsushi Mizuno as part of the joint venture's intended strategy.